The prestigious Augusta National tournament has had sports fans glued to the TV for the last four days with Tiger Woods sealing one of the greatest sporting comebacks of all time. 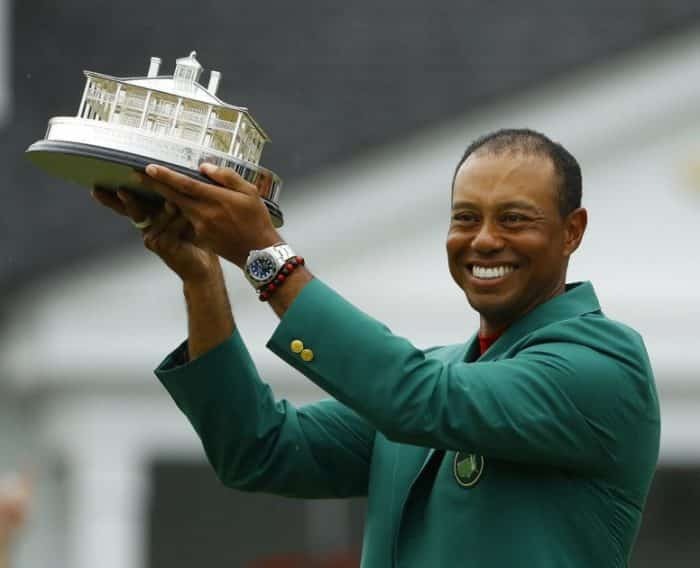 Overcoming a very public divorce and personal issues, including being arrested on a driving while under the influence charge and major back surgery as he struggled with injuries, Tiger has finally got another green jacket to add to his stylish wardrobe – and that includes a fine Rolex collection. Here we take a look at who was wearing what on the famous fairways and greens that make The Masters a true favourite among golf fans. The Rolex ambassador won his fifth Masters title on Sunday. It’s his 15th Major in total – three behind record-holder Jack Nicklaus – and comes more than a decade since his last Major win. But the American’s victory puts him back at the top of the sport he did so much to bring into the mainstream when he broke onto the golf scene 20 years ago. 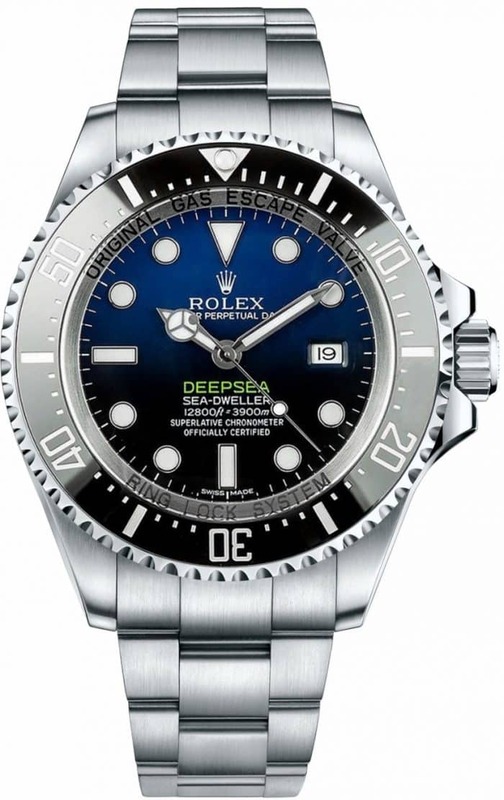 Before slipping on his new green jacket, Tiger grabbed his Rolex Deepsea D-Blue Sea-Dweller, created to honour the deep sea documentary work of James Cameron – perhaps an odd choice for a golfer. We’d have expected to see him tip up in something like a Daytona or Datejust. The most prominent feature of the watch is a blue-black gradient dial which mimics a descent into the sea with its colour tones. A chunky watch at 44mm wide, it’s a surprising choice considering its fit under the Green Jacket cuff. 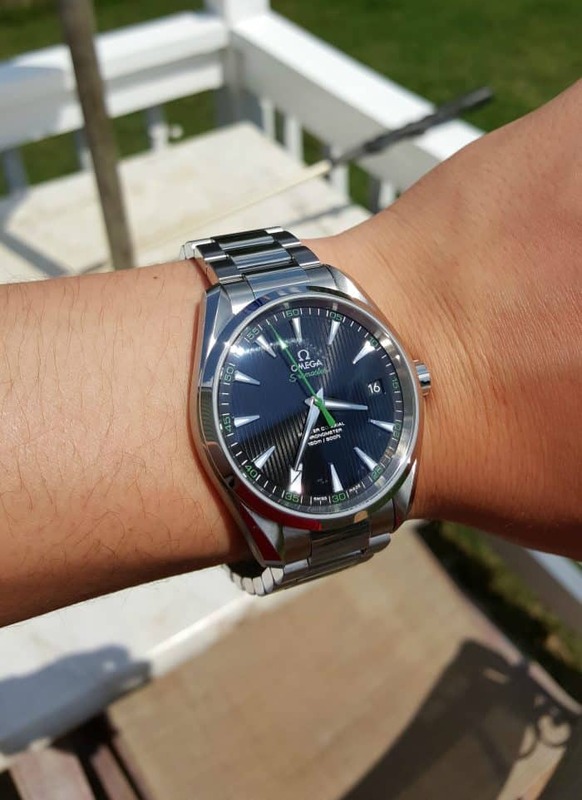 A striking watch nonetheless, it offers an oyster bracelet in stainless steel with titanium caseback. For so long Tiger’s main rival, the five-times Major winner was in the hunt on Sunday at Augusta but saw his challenge fade. “Lefty” is one of the most popular players in the game and well known for the time he spends signing autographs and meeting fans. He was even spotted wearing his green jacket to a Krispy Kreme store. 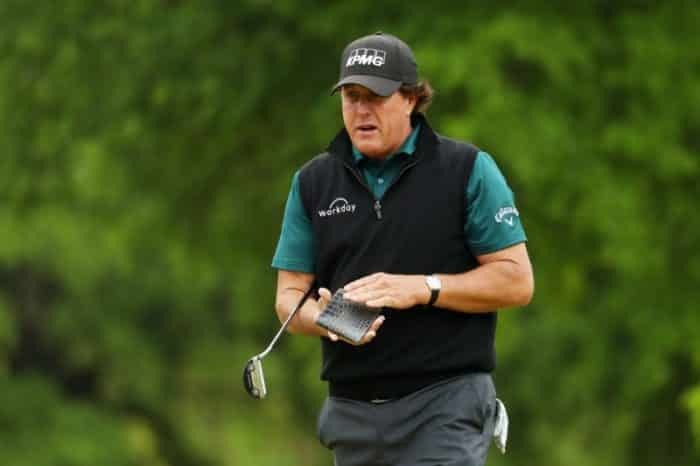 Phil has often been spotted wearing a classy Rolex Cellini Danaos – favoured by various sportsmen – on the green and a Datejust at awards ceremonies. The manually winding timepiece is a great choice for 18 holes as it is shock resistant. 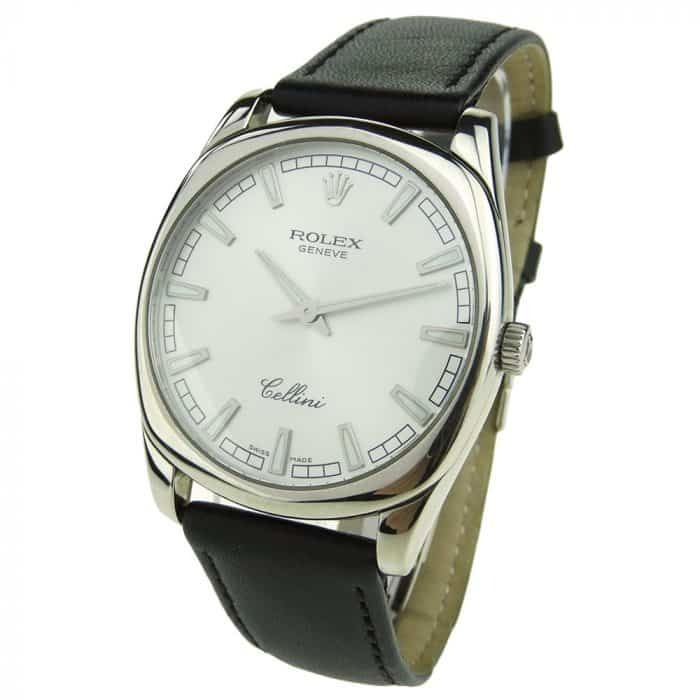 It also features an 18kt white gold case with a black leather strap and fixed bezel. The timepiece has a silver dial and silver-toned hands. 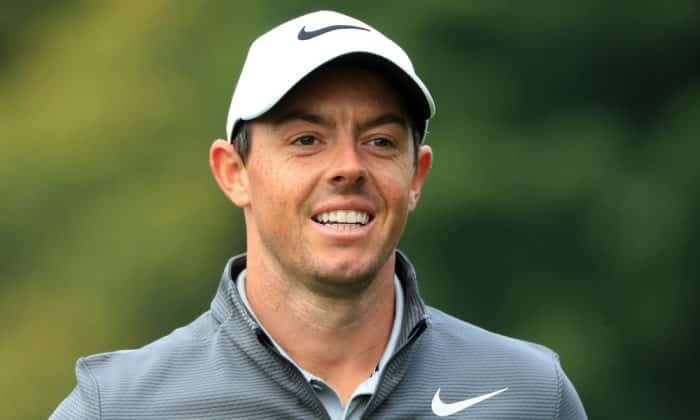 Very much the successor to Tiger, the Northern Irishman has never won the Masters despite being in contention numerous times and finished tied for 21st spot this year. He blew a four-shot lead on the final round in 2011 and only needs a Green Jacket to complete his career Grand Slam, having won The Open, US Open and USPGA previously. Rory has been an ambassador for Omega the last few years and is often spied wearing the Omega Seamaster Aqua Terra Golf. name, minute track and central seconds hand. The stunning watch features the co-axial calibre 8500 which is anti-magnetic up to 15,000 Gauss. It is now available with an orange and black or green and black striped strap. At Luxe Watches we love helping our customers find their perfect timepiece. We sell a vast range of tee-rrific new and preworn watches. Visit our Essex boutique or contact one of our experts for assistance.